Creak, pop! One in five American adults experiences painful joints (mostly due to osteoarthritis or rheumatoid arthritis), and when sore joints from sports injuries, overuse, and strain associated with being overweight get added in, that’s a whole lot of achiness nationwide. Joints are complicated structures that “rely on bone, muscle, and ligaments all working together to provide a full range of motion,” says Holly Lucille, a Los Angeles-based naturopath. Understanding the source of your joint pain or inflammation is important, she adds, in order to pinpoint the most effective remedy. It could be an autoimmune disease such as rheumatoid arthritis, but in other cases, food sensitivities can be the culprit. Natural remedies offer a powerful and safe way to ease symptoms and promote joint healing. “Multiple studies demonstrate that natural remedies can be more effective than their pharmaceutical counterparts,” says Jacob Teitelbaum, MD, author of From Fatigued to Fantastic! The exciting part of giving a natural remedy a go, he adds, is that, unlike conventional medications that come with side effects, herbal healers tend to give “side benefits.” For example, while you might try an herb like turmeric for a swollen knee, while taking this multipurpose herb, you could end up also soothing your heartburn. The Indian spice turmeric contains an active ingredient called curcumin that reduces inflammation in a variety of ways, including the down-regulation of COX-2 enzymes; suppressing COX-2 enzymes is also the way NSAIDs like aspirin and ibuprofen work. When inflammation quiets down, joints feel less painful and stiffness fades away. Dr. Teitelbaum likes combining curcumin with the herb boswellia. “This combination was shown in a head-on study to be more effective than the commonly prescribed drug Celebrex,” he says. Although it is fine to try these herbs while also taking a prescription arthritis or pain medication, if you go that route, Dr. Teitelbaum suggests using both the herb and medication for six weeks to reach the full effect of the herb. Then try tapering off the conventional pain medication to see if the herb alone can do the trick. Skip turmeric if you have gallstones. Collagen is a protein found throughout your body, especially in your connective tissue. 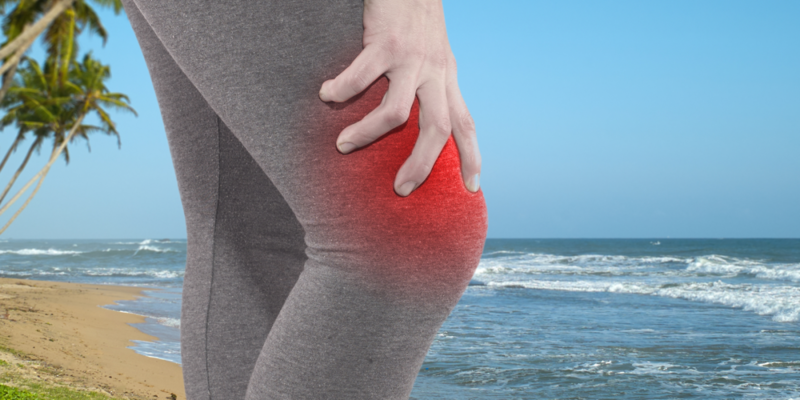 Collagen supplements, in a form called collagen hydrolysate, can improve symptoms for those with osteoarthritis and other joint problems. In one study, 80 people with aching knees or hips due to osteoarthritis took either 2 grams of collagen or a placebo every day for 70 days. By the end of the study, those taking the collagen reported less pain and were able to do more physical activities.